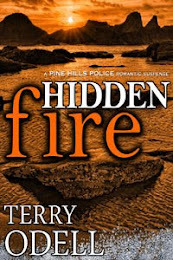 Terry's Place: Trends in Publishing? I know I've talked about going indie with e-books, but here's another print alternative to the Big Six. These aren't 'vanity presses' where the author pays to have his book published. These are publishers that require authors to submit manuscripts for approval, the same way the New York biggies do. They provide editorial services and cover art. I think they rely more on the authors for marketing, but nowadays, the Big Six also expect authors to be their own promoters. Most of these small presses rely on POD, or "Print on Demand" to create their product. Not that long ago, POD publishing was scoffed at, and lumped in with vanity presses. However, POD is a technology, and is not connected with publishers. All it means is that if someone orders a book, instead of finding it on a warehouse shelf, it's printed virtually on the spot. This saves trees, and eliminates the stripped book returns from bookstores. Indie authors can take advantage of POD technology as well. 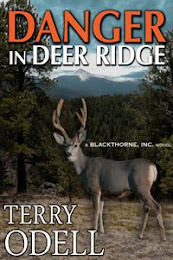 For example, my two indie published books, DANGER IN DEER RIDGE, and DEADLY SECRETS, are available in print as well as in digital formats. If you go to either Amazon.com or Create Space, you can order the book, and it'll be shipped to you, the same as any other traditionally published book. So, maybe as the Big Six are trying to figure out what's happening in the publishing world, the little guys are stepping in to fill the gaps. And not only do authors benefit, but readers can experience books that might not fit the confines of the Big Six. Lots of small presses popping up these days. Hard to keep track of who is reputable and who isn't. But the "Big Six" are definitely falling behind with their old-fashioned attitudes. 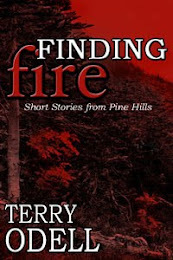 Thanks for your positive blog on small presses, Terry. I'm published by one, The Wild Rose Press. 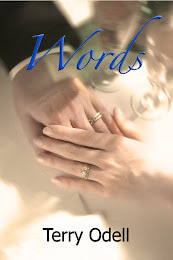 For those of your readers who may not be familiar with it, TWRP is a fabulous small press that publishes only romance and has a wide distribution list. They publish our books in Ebook format, POD, as well as on Kindle and Nook. They send our books to a large list of reviewers for us. They are up-to-date with all the newest technology and trends. They have wonderful professional editors and cover artists, and us authors reap the benefits from their professionalism. For my goals, I couldn't be happier working with a small press. Interesting and encouraging! Thanks for the info, Terry! I'm certainly enjoying my small press experience with Black Opal Books. 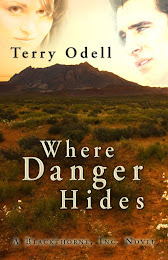 Edits can be grueling, and since I had a vision for my first cover I was able to design it. I'm also judging a contest, with a mix of indie, small and large press. Sad to say, the sloppies editing is not the indie. Brief on-topic comment: I would love to know what small presses these books represent. Jacqueline - yes, the author needs to exercise due diligence. But options are good. 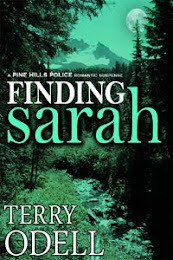 Stacey, I was the very first contracted author with TWRP, so I know them well. They've certainly grown. Maria - full disclosure; I'll be 2 seats away. I figured it was good enough to be at the same table without having to outbid those who wanted to be right next to him. But I'll be close! As for the publishers -- because judging is confidential, I can't reveal them. POD represents a much more reasonable economic model for publishing than the traditional method with its huge percentage of destroyed paperbacks. The tree-hugger part of me applauds! That said, the part of me that is also published by a couple of small presses recognizes that there are limitations to the model, most notably distribution and visibility. Karen, that's an important point. I requested rights back for some of my books for just that reason. If people can't see them, they don't buy them. That's another reason I entered contests (and perhaps why the authors I'm reading might have as well)--to get my books into the hands of at least a few more people, and if they liked them, they might read more. That, to me, was more of a reason to enter than to think I'd win. 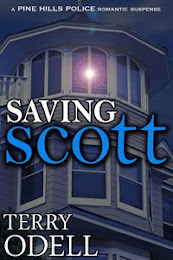 Terry, I too am with a boutique press - Crescent Moon Press, which specializes in the paranormal, sci fi romance. It's a terrific way for a new author to get their feet wet, without having to go it alone with self-pubbing. I'm learning a ton - especially how high the quality is within my own press. Oh, and I enter contests, too, and for the same reason you do - to get the word out. Interesting post, Terry. I haven't judged a contest recently, so I liked reading about what you found. Thanks. Interesting post, Terry! 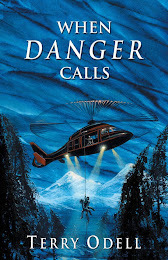 One question -- I've heard that due to the proliferation of POD publishers, box stores like Barnes & Noble and some indie booksellers are now starting to refuse carrying books without at least a limited print run -- a lot less than the Big 6 would print, but even then, it's not cheap. I would imagine smaller presses that have a sales track record would be grandfathered in, but it seems like indie publishers will still have difficulty getting shelved. Have you heard this? Hope you enjoy yourself at the conference and look forward to hearing about it. Do us proud, Terry - no drooling at the table!!! He is one of my favorite authors, and I would love an opportunity to talk shop with him. Thanks for this informative post about small publishers. They certainly are picking up some of the slack from NY. Christine - boutique presses (thanks for the term) do offer options. Cathy - most book stores require that books be returnable. I haven't heard anything about print runs, but I sell so few print books that I'm not paying close attention. Karen - I TRIED to behave myself. Maryann - it was dinner, but who's counting! He's a fascinating man, and so, so, so NICE. And funny. And genuine. I showed him my first author copy of Rooted in Danger, and he was almost as excited as I was. He says (and I agree) it never gets old.